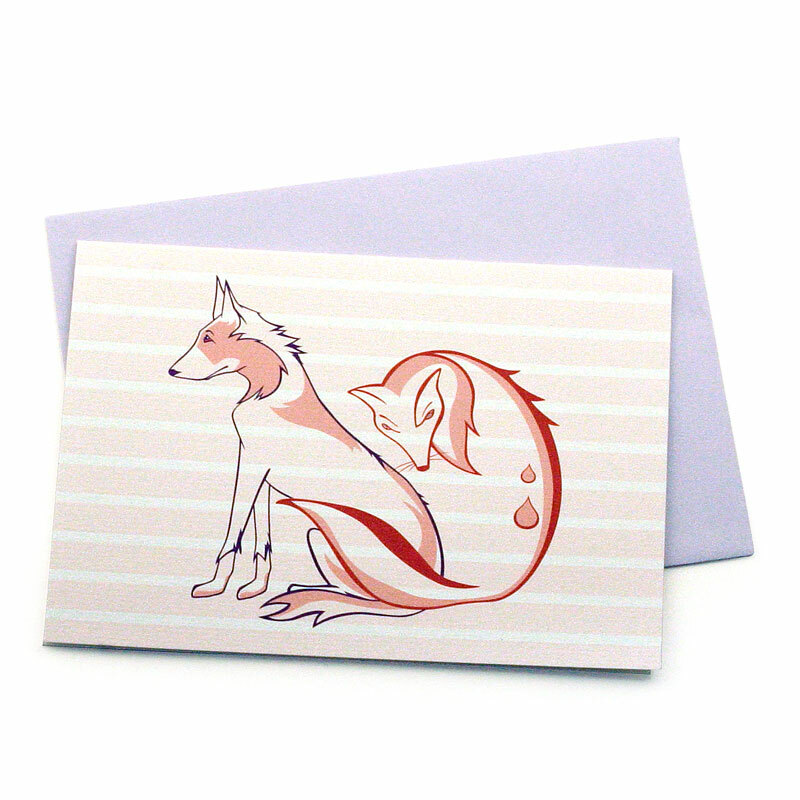 This standard sized gift card features an original illustration depicting one of our favourite children's stories, "The Fox & The Hound". An elegant, detailed & quirky vector artwork with two teardrops within the shape of the fox. Professionally offset printed in Sydney onto the beautifully textured Oxford paper stock, this card is accompanied by a coloured C6 envelope and comes individually packaged in a clear plastic sleeve. It is blank inside for your own message. This card belongs to the "10c Mix", Non-Fiction's debut range of greeting cards. Actual card size is 150 x 107mm, C6 envelope measures 162 x 114mm.